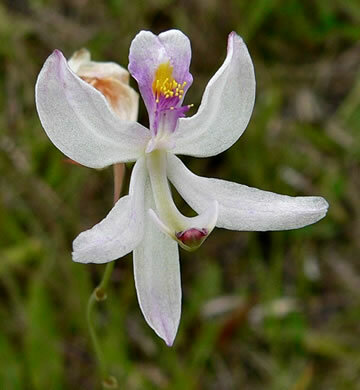 You may enjoy reading Orchids of the Francis Marion National Forest by Jim Fowler. 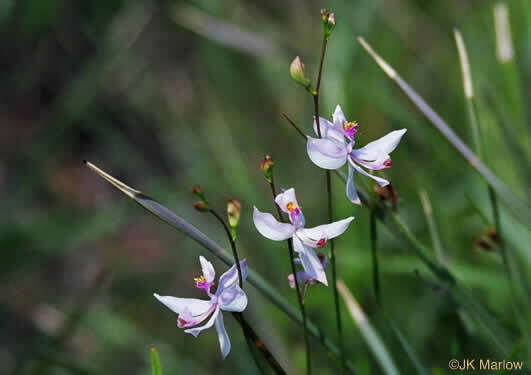 Flowers typically open one at a time sequentially up the stem, per Atlantic Coastal Plain Wildflowers. 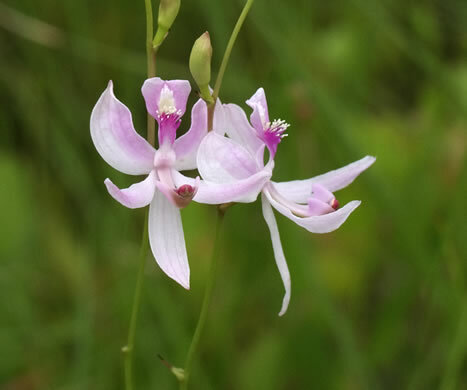 Lateral sepals are curved toward the stem and petals are curved forward, per Wild Orchids of South Carolina: A Popular Natural History. Lateral sepals distinctively reflexed backward w their apices behind flower, per Atlantic Coastal Plain Wildflowers.